For a truly unique experience in Chicago, venture off to nine neighborhoods, as well as Evanston for a treasure hunt of public art that helps bring peace to the city. Artist Indira Johnson created the sculptures in partnership with Ten Thousand Ripples as a way to get people talking about violence in Chicago. “Throughout my artistic career my passion and commitment has been to make art part of everyday life, to involve local voices and communities in the art process and to cultivate peace as individual action,” said Johnson. 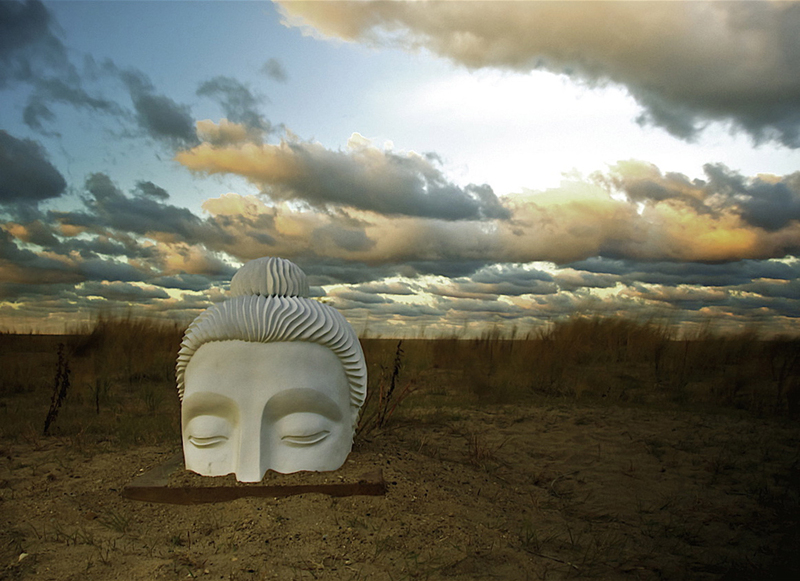 Find the sculptures emerging from the Earth in vacant city lots, urban gardens and in unexpected communities. You won’t find these works of art on glitzy Michigan Avenue, but in urban communities and in some of Chicago’s great diverse neighborhoods, which are definitely worth a day or weekend trip as you explore the city to locate them. “Because I attended so many meetings in the different Ten Thousand Ripples neighborhoods, I came to know and have a special place in my heart for all of them. Some of our meetings were held in restaurants that were selected by the local residents. The ones that stand out are those that combine good food with a socially conscious attitude like Sol Café in Rogers Park, Curt’s Café in Evanston and Green Tomato in North Lawndale,” she adds. 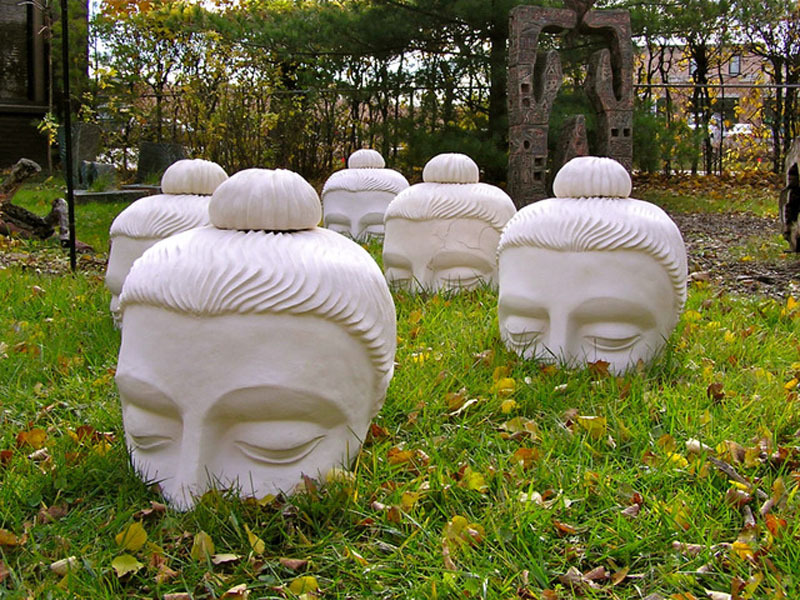 You can now own one of these beautiful pieces of art for your own garden, the large sculpture for $2,000 is 27″ and the small sculpture is 8 1/2″ for $500 to continue the movement of Ten Thousand Ripples and their continuing mission for peace. Each purchase or donation helps to further the commitment to nonviolence in the city through art. For more information, to order a sculpture or to make a donation, click here. For more info on Ten Thousand Ripples, please click here. Check out our interview with artist Indira Johnson here. 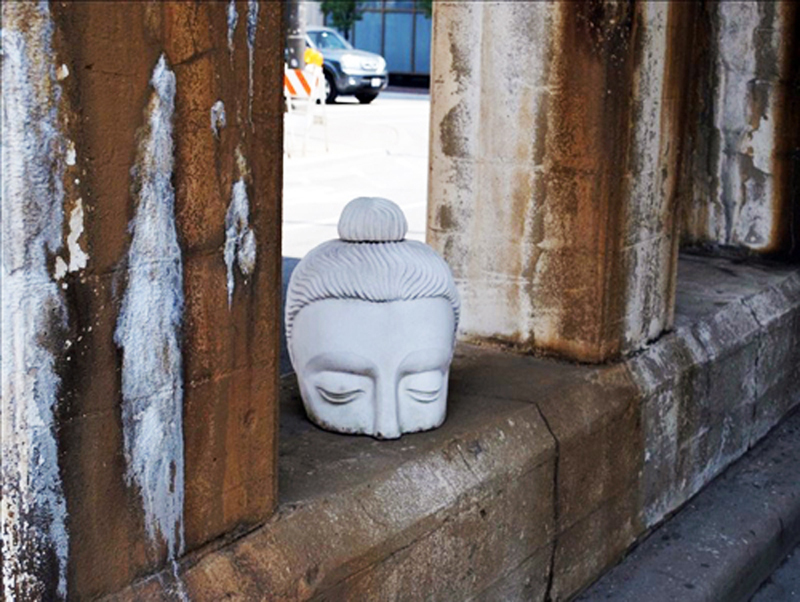 Find the Buddha Head Sculptures at these Chicago and Evanston locations. McCormick junction, McCormick and Green Bay Rd. Learn more about this Ten Thousand Ripples project. Get on Board, Yacht Week is Coming!